Last week, we decided to go back to school, but this wasn’t your ordinary classroom. 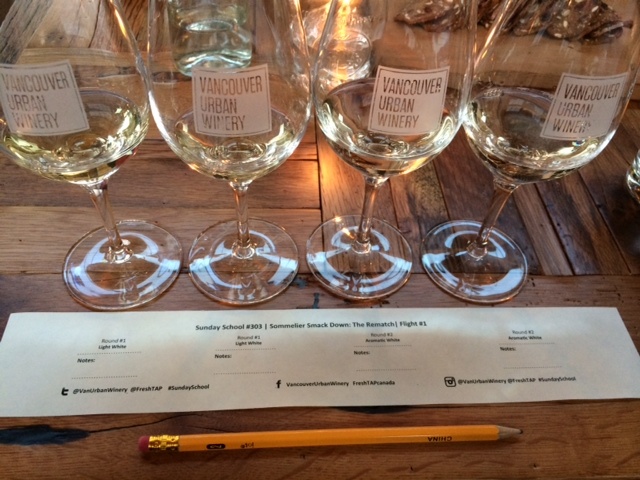 This was Sunday School at the Vancouver Urban Winery, a fun and informative session full of tons of tastings and time to learn as you sip and enjoy great wines. David and Lisa- before the competition started. 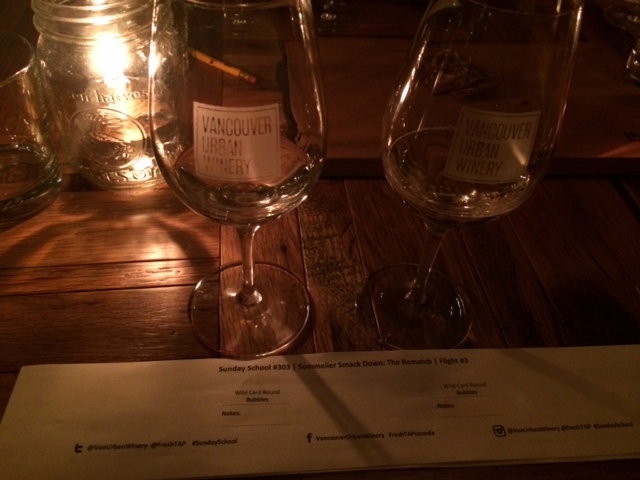 The Vancouver Urban Winery Sunday School #303 featured a Sommelier Smackdown: The Rematch. 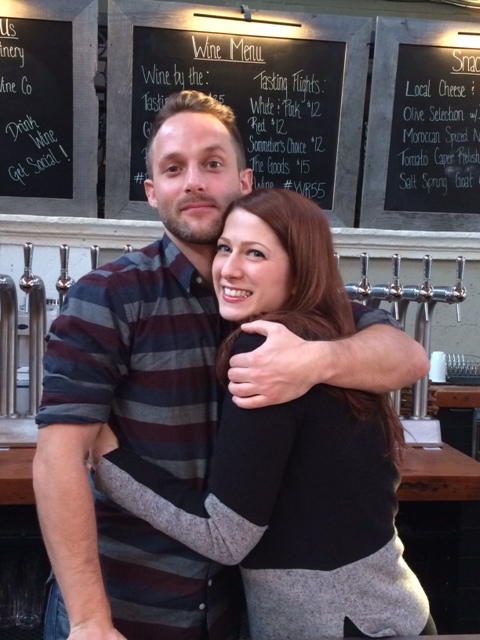 Two of the cities finest sommeliers David and Lisa matched up against each other in 5 tough rounds. 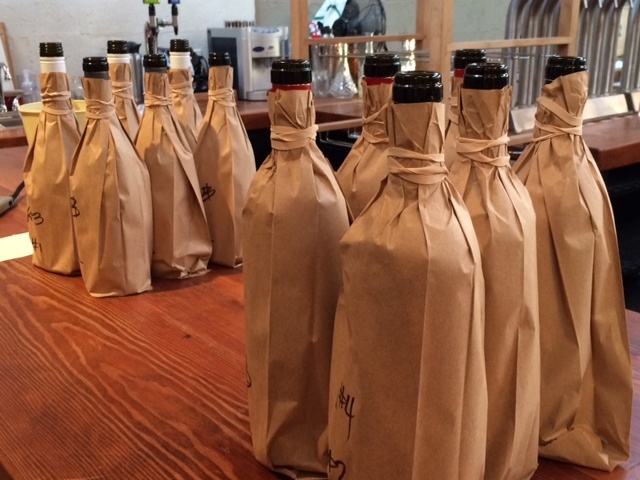 Pouring wine from a bottle wrapped in a brown bag to disclose its details, students had to swirl, sniff and sip and ultimately try and figure out its contents. 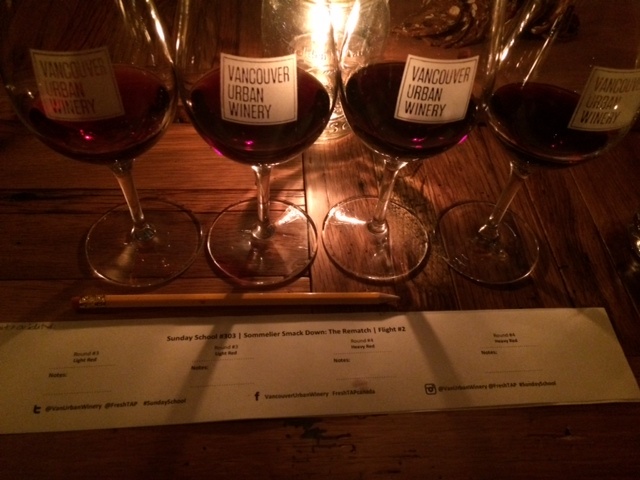 It was a fun evening that allowed guests to get to know one another while tasting great wines. 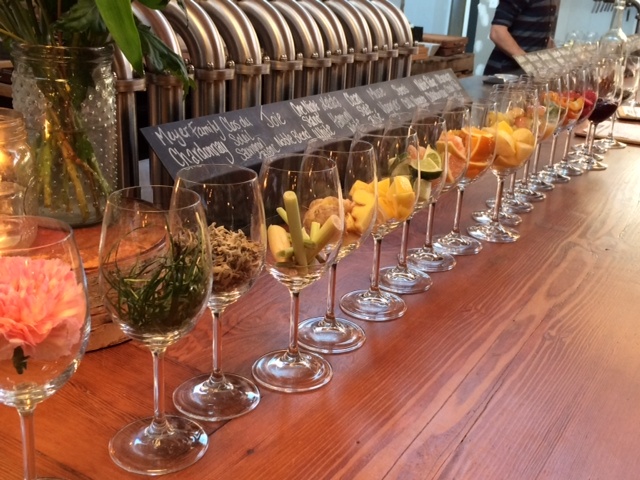 David and Lisa also spent time visiting each table throughout all rounds to see what people thought of the wines, and help identify specific varietals within each glass. In the end, Lisa beat David and all students were left with a better understanding of wine tasting. *We recommend this class for beginners wanting to meet new people in the city and learn more about general wine tasting. June 15: #306- The Cider House Rules! Tickets are $40 + GST per class.